Take a Scuba Diving Vacation to Egypt this Winter! Of all the extreme sports activities, scuba diving has to be one of my favorites; and as the weather starts to get gloomy and the nights start to draw in, it’s time to start looking for holiday destinations to perk ourselves up again! Egypt is one of the best locations in the world for scuba diving vacations and with travel agents now offering numerous cheap deals, it’s an opportunity that is too good to miss out on! 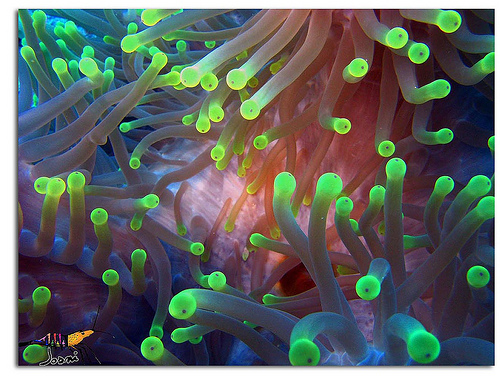 The Red Sea is one of the most diverse scuba diving locations in the world! The marine life is absolutely immense and not only will you get to see some marvelous shoals of fish but you also have the chance of seeing turtles, rays and the illustrious tiger shark! Egypt is the perfect place for intermediate and advanced divers but it also caters for beginners, so if you fancy taking up a new extreme sport this winter, you really couldn’t choose a better vacation destination to learn! Plus let’s not forget why you are looking for a vacation in the first place… the weather! Egypt is lovely and warm during the winter months, and the sea temperatures won’t disappoint either. If you don’t fancy spending your whole vacation scuba diving don’t worry, as there will still be plenty to do! Egypt is full of ancient history and there are hundreds of companies who will offer day tours to some of the top attractions such as the Pyramids and the Sphinx and you can even take a camel ride through the desert if this is more your thing! The opportunities are endless. If you really want to make the most out of your scuba diving vacation in Egypt this winter, you might want to check out the luxury accommodation that is on offer. Due to the popularity of this extreme sport, luxury hotels have popped up all over the place, in and around the main scuba diving locations and there are absolutely loads of hotels to choose from! There are even some dive specific resorts which offer all inclusive facilities, luxury amenities and dive courses all in with the price. Of course there are also traditional Egyptian villas to enjoy, bed and breakfasts and winter rentals in the main towns and cities. It all depends on what you are looking for from your vacation and how much you want to spend. Many of the top travel companies have been amazed by the surge in demand for holidays to some of the top locations in Egypt and are advising people to book early if they want to be sure that they can travel on specific dates. Many of these companies are putting the surge in popularity down to the cheap prices and the scuba diving opportunities which they boast are out of this world! So if you fancy getting some sun this winter and trying out an extreme sport at the same time, head on over to Egypt and remember to take your camera! We’d love to see your photos! This entry was posted in Africa, Scuba Diving, Travel, Water Sports and tagged Egypt, Scuba Diving, Vacation. Bookmark the permalink.